The BMO Harris Bank Building is honoring the Milwaukee Bucks for the upcoming NBA Playoffs. 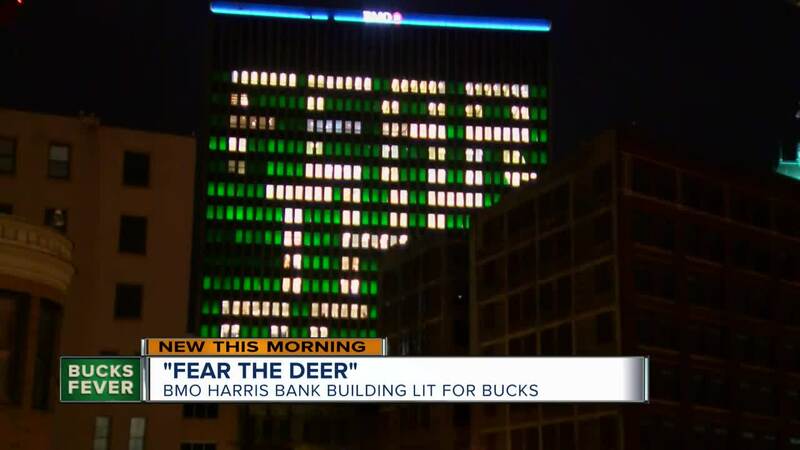 MILWAUKEE — The BMO Harris Bank Building is honoring the Milwaukee Bucks for the upcoming NBA Playoffs with an 18-story illuminated message. The bank will display “Fear the Deer” in green on its building throughout the Bucks’ postseason run. Milwaukee begins its first-round series at 6 p.m. Sunday at Fiserv Forum against Detroit.